JACKSON, MS (WLBT) - Jackson State University head football coach John Hendrick has announced several changes and promotions to his coaching staff for the 2019 season. "I'm pleased to see this staff come together, "Hendrick said. "Our goal is to reinvigorate our offense and we added great coaches who will help us take Jackson State football to the next level and compete for championships. Our fan base and supporters are going to be very excited about the type of offense we will put on the field this fall. We also made changes on defense and strength and conditioning, and I'm excited to see our growth and maturation." JSU Vice President and Director of Athletics, Ashley Robinson, is pleased with the staff Hendrick has assembled. 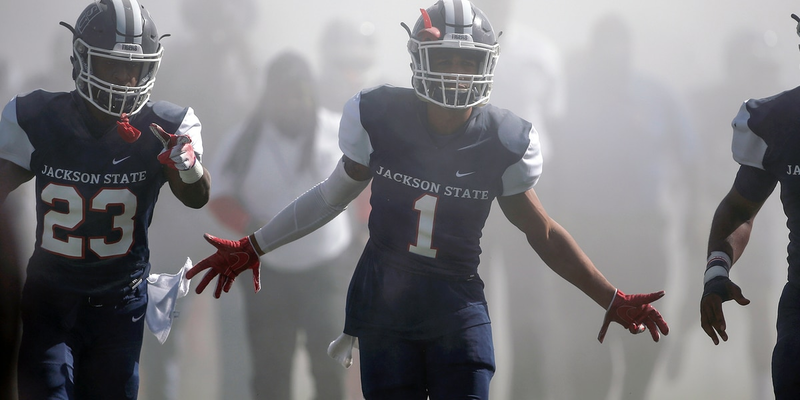 "I'm very excited about the 2019 Jackson State football team," Robinson said. "John Hendrick is committed to providing a quality student-athlete experience and the staff that will be working with our young men ensures this. Coach Hendrick is dedicated to installing a cutting-edge offense. I'm excited about this coaching staff and what they bring to the table." Ron Dickerson Jr. has been hired as offensive coordinator. Dickerson comes from Morgan State where he worked as wide receivers and special teams coach. He was the head football coach at Gardner–Webb, a position he held from 2011 to 2013. Former JSU All-American T.C. Taylor returns to the program and will coach quarterbacks after serving on the staff at North Carolina Central for the past four seasons. Taylor joined NCCU as quarterbacks coach. He served as co-offensive coordinator in 2015 and 2016 and was tagged offensive coordinator starting in 2017. Taylor spent two seasons (2012-13) at Texas Southern as wide receivers coach and recruiting coordinator. From 2005-11, he coached at Coahoma Community College in Clarksdale, starting as the quarterbacks and wide receivers coach and spending the final six years as offensive coordinator. His offenses ranked among the top-5 in Mississippi junior colleges in total yards for four straight seasons from 2007-10. Brady Ackerman has been elevated to coach the wide receivers. Ackerman arrived on staff in the summer of 2018 and served as an offensive analyst and inside receivers coach. Ackerman had several stops in his coaching career including on the collegiate level with Valdosta State and Jacksonville State. He also served as an assistant coach in high school at Ed White High School in Jacksonville, Florida. Ackerman attended the University of Florida and backed up Hall of Fame running back Emmitt Smith. Otis Ridley has joined the staff as offensive line coach. Ridley comes to JSU after spending the past two seasons at Copiah-Lincoln Community College. Prior to Copiah-Lincoln, the Jackson native spent several seasons coaching within the Jackson high school ranks. Ridley was the head coach at Provine High School and led the Rams to a 17-18 overall record. Prior to Provine, Ridley was the offensive coordinator, offensive line coach, and the strength and conditioning coach at Callaway High School. Ridley was a standout high school athlete at Provine and went on to play at Mississippi State where he was named to the Sporting News All-SEC Freshman Team. On the defensive side of the ball, Lionel Stokes has been elevated to defensive coordinator. Stokes joined the JSU staff in 2017 and has tutored the cornerbacks. Prior to working at JSU, Stokes coached at his alma mater, Louisiana-Lafayette. A two-year starter at defensive back for the Ragin' Cajuns, Stokes worked with the defensive backs and helped with the day-to-day operations of the defensive staff including film breakdown, weekly game planning and managing academics. Dorsett Davis comes to JSU from Mississippi Valley State and will coach the defensive line. Davis has an extensive coaching background after a playing career in the National Football League. In 2002, the Denver Broncos selected Davis in the third round of the NFL Draft and played there for four years under Mike Shanahan. He started his coaching career at Mississippi Gulf Coast Community College. During his time at Gulf Coast, he assisted in winning four state championships and two Mississippi Bowl championships. Medgar Harrison will serve as the new strength and conditioning coach. He comes from Alabama State University where he worked the previous four years as the Hornets strength and conditioning coach. Harrison was in charge of the daily strength & conditioning regimens for the Hornets' football program. He also oversaw the 17 sports at Alabama State, which consists of nearly 400 student-athletes.